How can I get an up-to-date import link? Hey Lucky, love the UI - just one thing - the BW profile doesn't work. I took your link and replaced mine with yours - when I go to /bw > profiles - it's not there. Hey thanks for your Feedback, I will check the BigWigs thing tonight after my Raid! Hey Lucky! I love your profile. I made just a few changed to fit my playstyle. One question though, how can I disable the transparency of the chat frames? I prefer to have them w/ just a black backround. 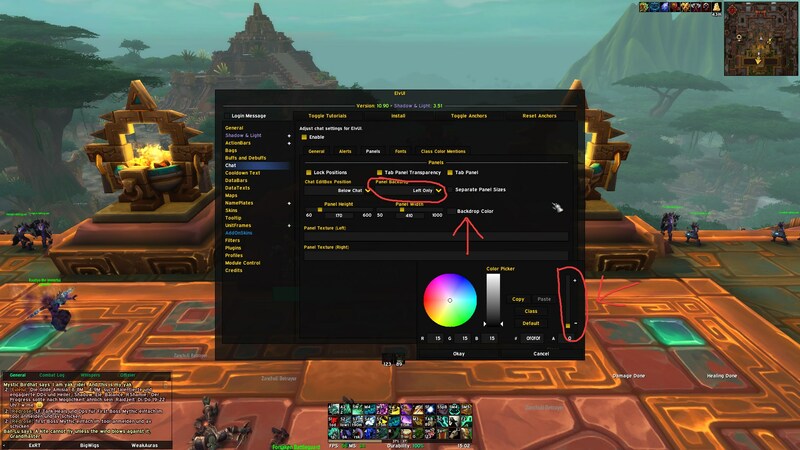 But The way I have done that before is not working by right-click the CHat tab > Settings > Backround then going to the Color Picker to black is not changing it. Is this possible to do?